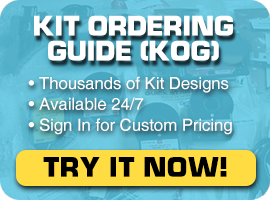 The QUICK–TRIP® settings are separate ground fault (QT GF) and instantaneous (QT I) settings in the AC–PRO® and AC–PRO–II®. The QT GF & QT I have the same ranges as the regular GF and I settings in the AC-PRO® and AC-PRO-II®. The settings are dormant until the QUICK–TRIP® switch is turned ON. When the switch is turned back OFF the AC–PRO® and AC–PRO–II® returns to its original settings. Example: A feeder breaker needs to be racked out for maintenance. Before opening the cubicle, QUICK–TRIP® would be activated on the main. If an incident occurs during the racking out, the main would trip on the QT GF or QT I instead of the standard settings. Since the main tripped faster than usual, the amount of energy build up would be less and the arc flash would be reduced. A reduction in arc flash incident energy levels may permit lower PPE clothing for maintenance personal. All QUICK-TRIP® Switches are pad-lockable. Remote QUICK-TRIP® control and indication is also possible. Contact us for additional information. 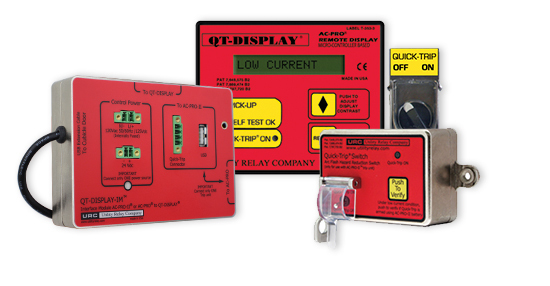 Allows the QT-DISPLAY® and QT-Switch® to be used with either AC-PRO-II® or AC-PRO®. Allows QT-DISPLAY® to display Currents, Voltages*, Power*, Energy*, Settings, and Last Trip Data from AC-PRO-II® (*requires VDM for Voltage, Power and Energy data). Includes USB extension port for AC-PRO-II® (For InfoPro-AC® software and SAFE-T-TRIP®). Requires control power. Versatile design accepts 120VAC, 125VDC, or 24VDC. Cubicles where QT-DISPLAY® is already installed. Cubicles where breakers with either AC-PRO-II® or AC-PRO® could be racked in. The QUICK-TRIP® system for AC-PRO® comes with the QT-Display®, QT-Switch® with a padlockable cover and all the necessary mounting hardware and cables. 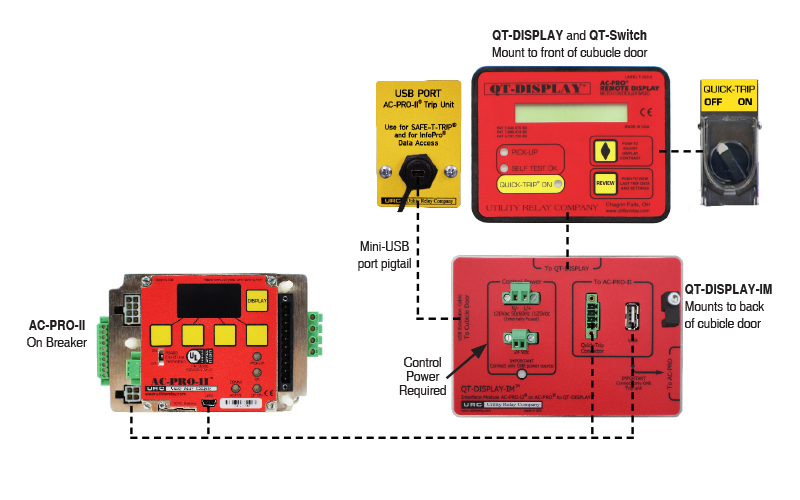 The QT-Display is a read only device that extends the use of the AC-PRO® to a more convenient and safe location for personnel to view the continuously displayed 3-phase current, the "PICK-UP" LED, "Self-Test" LED and review last trip data and unit settings. All of this can be done without opening the cubicle door. Click here for a practical example of how QUICK-TRIP® can be used to lower incident energy.